As odd as this film title may seem, it certainly caught your eyes, didn’t it? Well, it really caught mine. As I was looking for movies I can watch for the weekend, a friend sent me an anime film. Despite that the name does not make the least sense, it will absolutely not leave your eyes dry throughout the flick, at least it did so to me. This movie based on Yoru Suminoʼs novel of the same name will make you realize the joys of living and youth, for it is not just any ordinary cheesy romance movie that contains a tragically dying character. In this review, I would like to share what I’ve watched. Trust me, this title will serve a weapon to tear-jerking mishaps throughout your whole movie-viewing. The story takes place in current Japan. The start will show a girl bothering a boy at a library by telling him something she saw on television which tells of a Japanese custom where you eat a loved one’s body part to heal a disease from the same organ. This film focuses on an unnamed male high schooler (whose name would be mentioned in the last parts) who was a loner at school. In short, he really didn’t have friends or anyone to talk to. His perspectives were changed by a popular and cheerful-hearted girl from his school named Sakura, who wanted to live her life to the fullest for she had a terminal pancreatic illness that made her life shorter. The main character is the only person who knows of her illness aside from her family, so he promises her to keep it a secret. 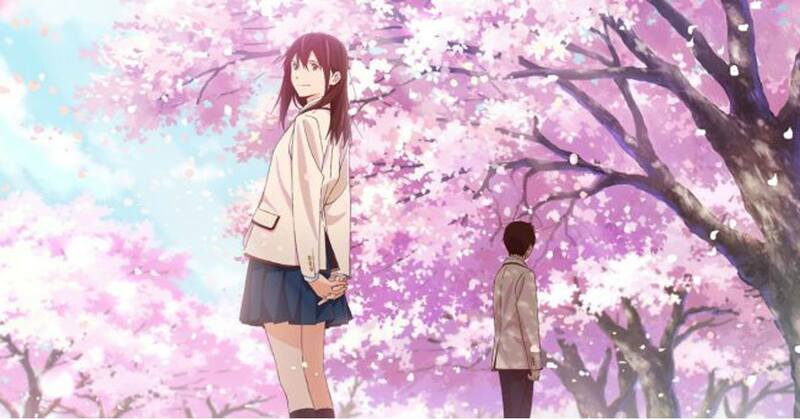 Sakura and the boy spend time together as she lives her last minutes in life while they both develop an unlabeled relationship together. What I really like about this film is how despite her illness, Sakura brightens up the atmosphere by joking around her supposed upcoming death. Her humor makes me relate somehow. Their relationship with each other is a little weird but kind of cute since she keeps forcing a guy (she does not even know the name of), to keep doing adventures written on her bucket list, even if they just met right after he finds out about her disease. The duo shows a little bit of forced friendship at first, but eventually, the way they act with each other gets sweet, as the boy seems to change himself positively all because of her. Both of them show a contrast between two types of people in the real world: the pure-hearted extroverts and the people who just don’t want to engage in human interaction! Oh, how opposite they are, but have great chemistry as well. What I also like is that they make it clear to the audience why they act that way toward each other. However, they don’t make it clear for themselves. This is where my takeaway come in. But how selfish of me to have a desire to take out these parts, since these are the ones that make the movie what it is: A total rollercoaster of emotions. (SPOILER) I do wish that they told each other what they felt before everything was too late. It’s like they’re giving hints to each other, but not confirming it, which confuses them. This made me a little bit unsatisfied. The plot twist at the end caught me off guard, and I could not sleep thinking that was how things ended. Seriously, this twist will make you say, “WHAT? THAT HAPPENED?” There was also a character in the movie who served as Sakuraʼs best friend who acted so uptight, and I did not like her character much at first. However, I like her slight character development. I also like how the actors portrayed their characters, as well as the nicely thought character design and symbolism. Whenever Sakura is focused on, the filter is bright and bubbly, while our main character is calm and shallow. The pastel colors used in the animation showed how simple but beautiful it looks. They give a melancholic and youthful feel. The contrast it showed with the sad scenes like the scene under the rain was magnificently done. For the story’s morals, it had a heart-warming message and made me appreciate living even more. I really think this film is targeted towards teens or above who seem to have lost hope in living. It also shows in this story that fate is a result of the decisions we made in life. Whatever you choose in life brings you and others together. Overall, if I would have to rate this tear-jerking movie, I would rate this an 8/10, for it tragically left me with tears (in a good way). If you are under twelve, I advise you to watch this with someone older in order for you to understand other parts. If you like Kimi no Nawa, you can watch this too.